So here’re the basics. Mt. 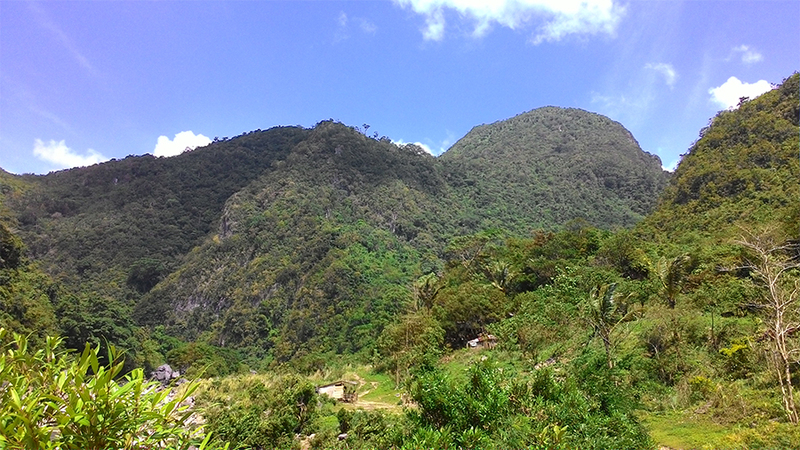 Daraitan is located in Tanay, Rizal and is a minor climb with a 4/9 rating. Same rating as Mt. Batulao but the similarity ends there. I packed the same stuff but with more food and clothing because I heard there’s going to be some swimming action that’s gonna happen as well. More technical details about the mountain can be found here. The game plan was to leave early on Friday night, then spend the night at a campsite beside Tinapak River. At the campsite, we were going to grill food to fuel ourselves for the climb early Saturday morning. The Outdoor Addicts hired a couple of jeepneys to take us to the place so transportation wasn’t a problem. There were 36 of us all in all. That’s a lot of hikers. Ultimately, the plan was followed, but the time was changed drastically. After getting lost going to Brgy. 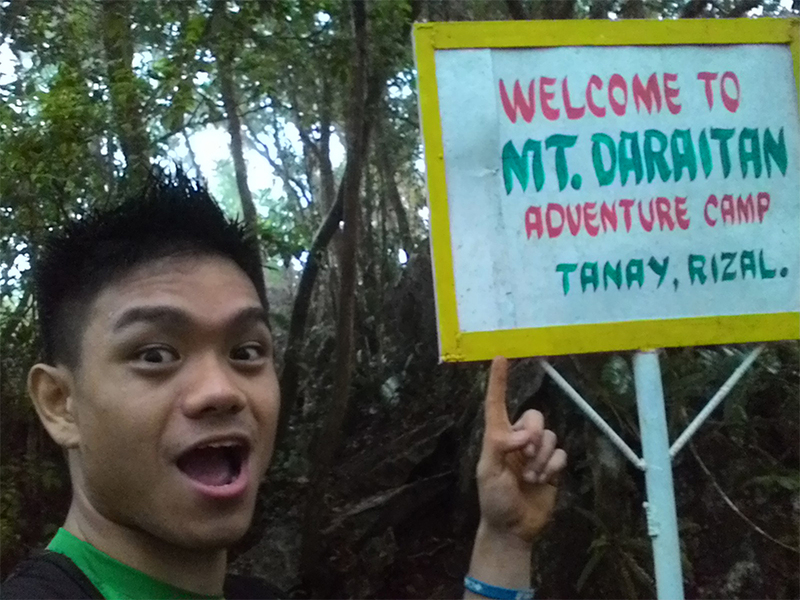 Daraitan, we found ourselves at the campsite at around 01:00 in the morning. This was barely enough time to grill and eat because we were scheduled to start the hike at 03:00. Because of the big number of hikers, we divided ourselves into four groups. 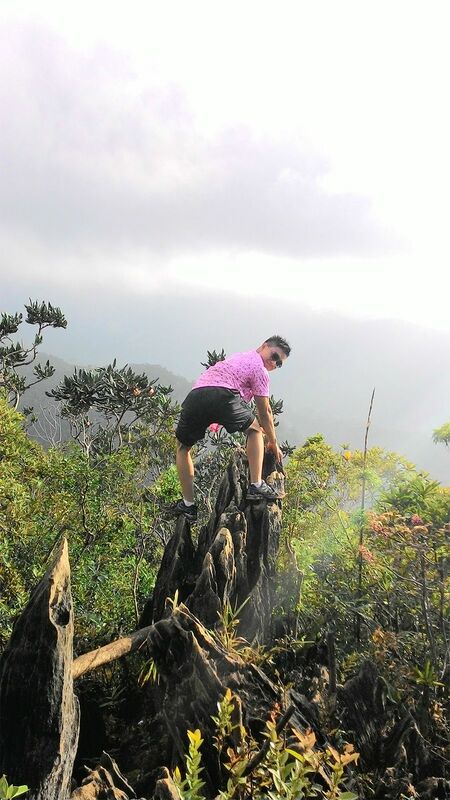 I was a part of group 1 because I wanted to reach the summit first (competitive). 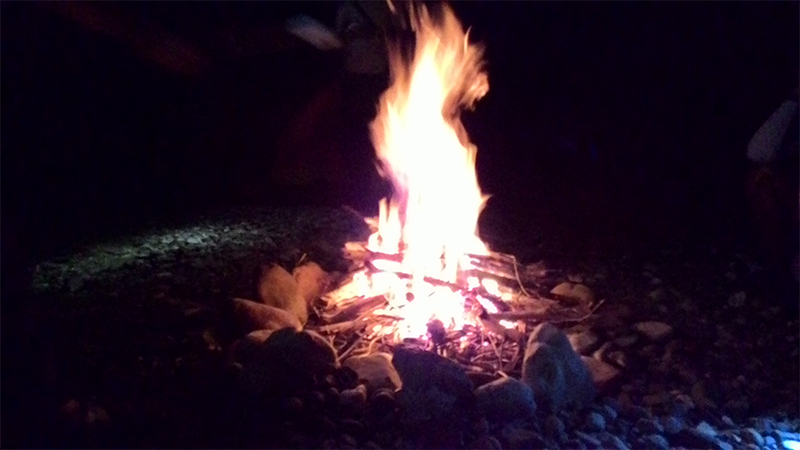 So the group quickly made a campfire and grilled pork bbq and marshmallows. It was funny because we weren’t really that good at judging if the meat was already cooked. I got either undercooked or burnt bbq pieces but it was fun, nevertheless. After a few moments of resting and eating, Group 1 (my group) decided to start the hike towards the summit. I didn’t get to take pictures of the trail going to the summit because it was still very dark, but I just have to say that it is by far the most difficult climb I’ve been on. I was the sweeper in the group, meaning I was the last one and had to make sure no one lagged behind. The climb was all assault from start to summit. And for someone that prides himself on being a bit fit, my heavy breathing was audible about an hour into the climb. I was also sweating so much more than in my gym sessions. I loved it. 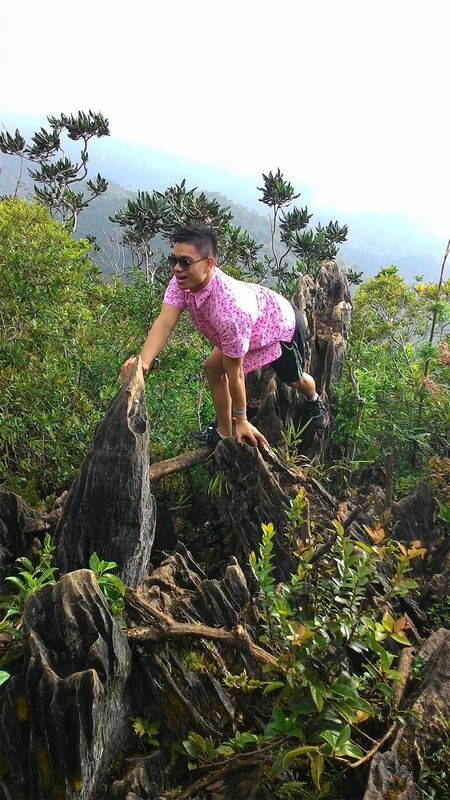 A highlight of the climb was when I was stung by bees three times. Yes, there were honeybees in the area and for some reason, I was the only one in the group that they had the decency to attack. I learned that Bee-stings hurt so much for the first 15 minutes and gradually fade into a slight itchy sensation after. Another highlight was when it started drizzling and the terrain got all wet and muddy. The assault became much more difficult because of that, but slowly and surely, our group pushed on. My only advice is to save enough water for the descent. That means, don’t drink too much when going up. There will not be water sources until you go down the mountain. Summit with the fellow hikers! Our group was chasing the sunrise, but there was already light when we reached the summit. Although we were a bit disappointed, our guide said that our group was fast (reaching the summit in 2.5 hours instead of the average 3). 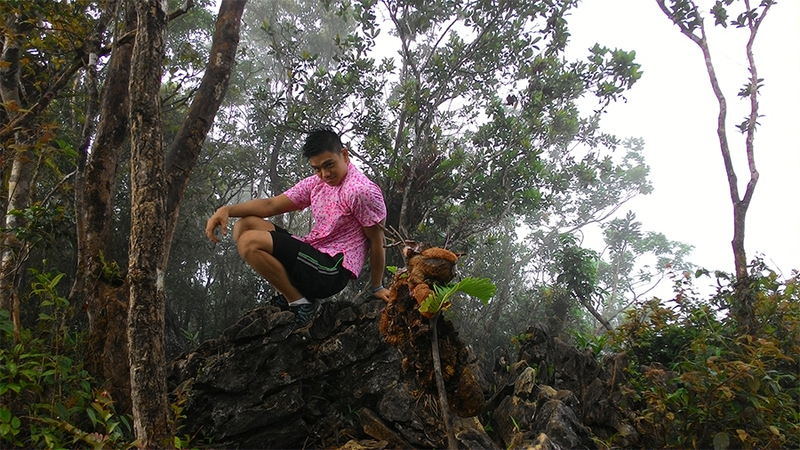 Upon reaching the summit, all my tiredness disappeared. 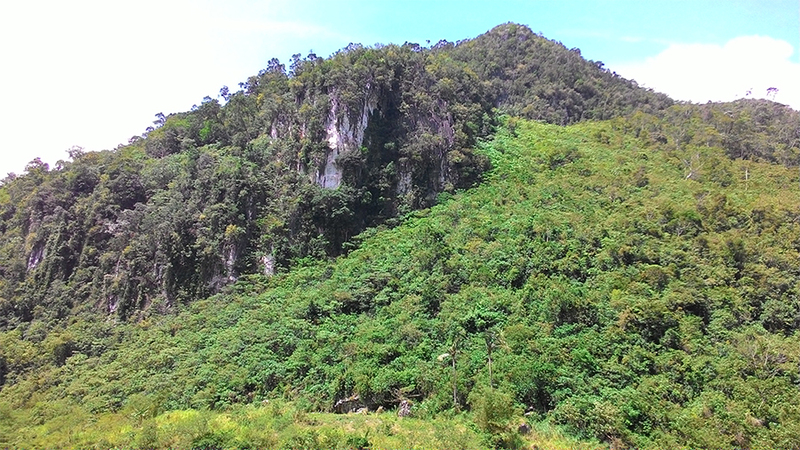 The view was mostly covered by clouds, but the limestone rockies were a sight to behold. 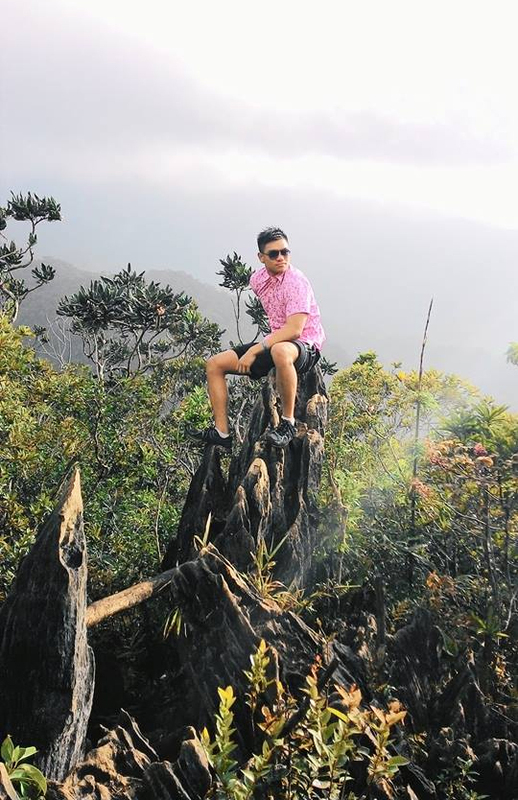 And being so high up just made me feel euphoric. Of course, lots of pictures were taken. 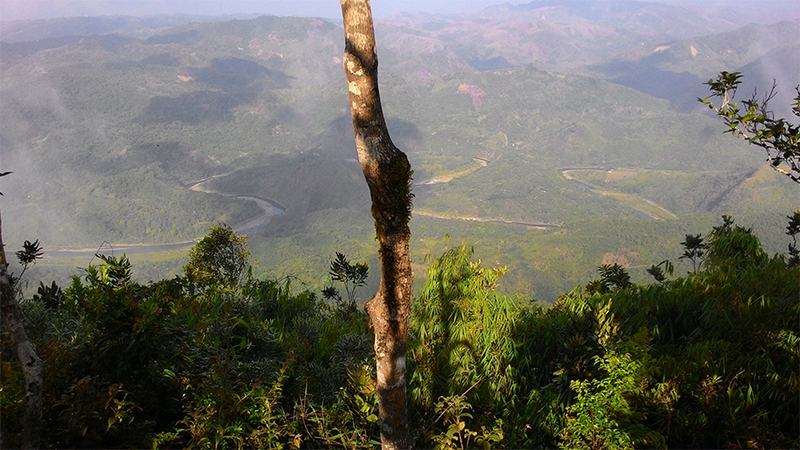 View of Tinapak River from the summit. After resting for a bit and eating a little food, our group decided to go down and start the traverse towards another side of Tinapak River. 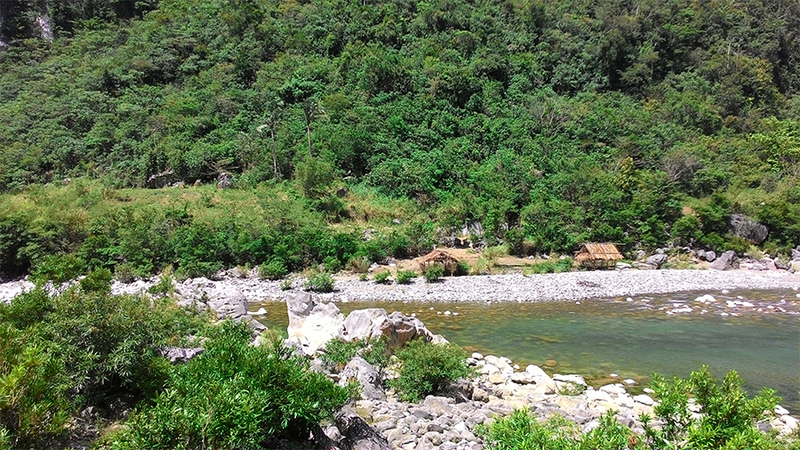 This was the same river where we made camp early in the day, but this time, we were heading to a different part. The descent was almost as difficult as the climb. The drizzle made the ground wet and we found ourselves slipping and sliding along muddy ground, just hanging on to trees so we don’t tumble off the face of the mountain. Still, it was pretty fun and I got to work out my arms. The view of the river was amazing in broad daylight. When we passed by during the climb, it was at night so we couldn’t really see much, but during the day, it was a sight to behold. There were so many rocks. I can’t believe that I’d be so amazed at a bunch of rocks, but I was! I wanted to climb them all! 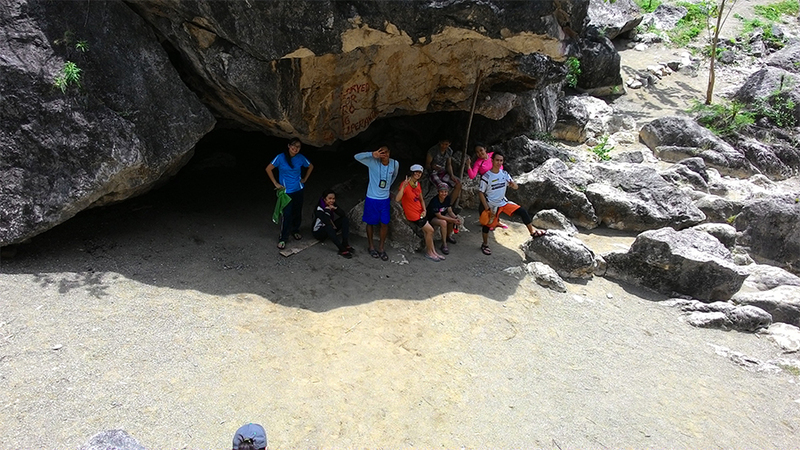 Oh, before we took a bath in the river, we went inside a cave which was where the water from the river came from. It was really dark so we didn’t take a lot of pictures. But it was really an amazing experience. To be able to take a bath in the freezing water inside a cave is one of the things not most people do. 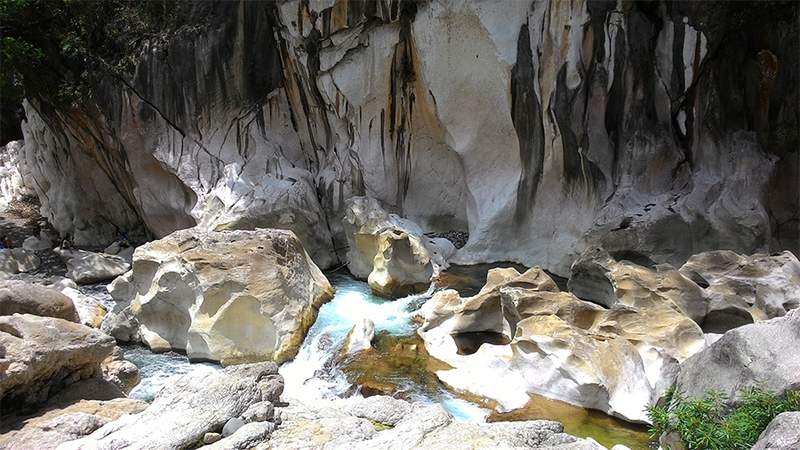 After the cave swim, it was time to go out into the river and enjoy the not-so-freezing water. 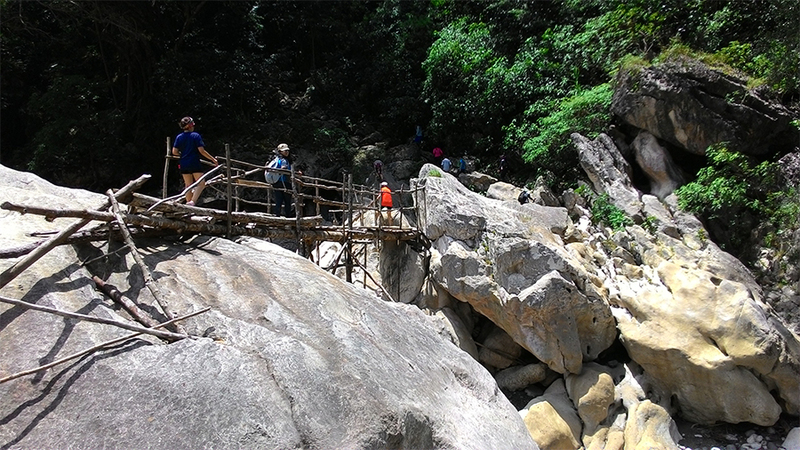 I had a lot of fun swimming and climbing the rocks. I didn’t want to leave. Personally, I enjoyed the river part more than the mountain hike! After frolicking in the river, it was, sadly, time to go home. We packed up and went back to Brgy. 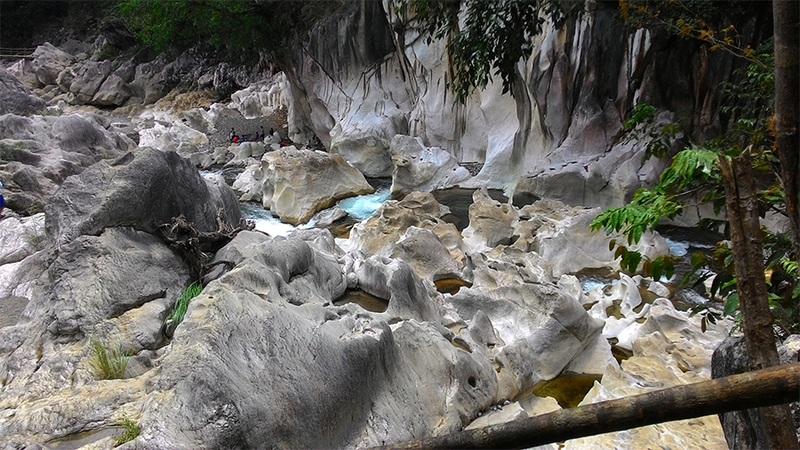 Daraitan. From there, we changed clothes and rode a tricycle towards the city and after that it was just a few jeepney rides home. The tiredness all came crashing back on the way home and the moment I arrived, I just took a bath and collapsed into a coma. I woke up many hours later and was still on a high from the day’s adventure. Not bad for a day-hike! And that’s the story of my 3rd mountain. 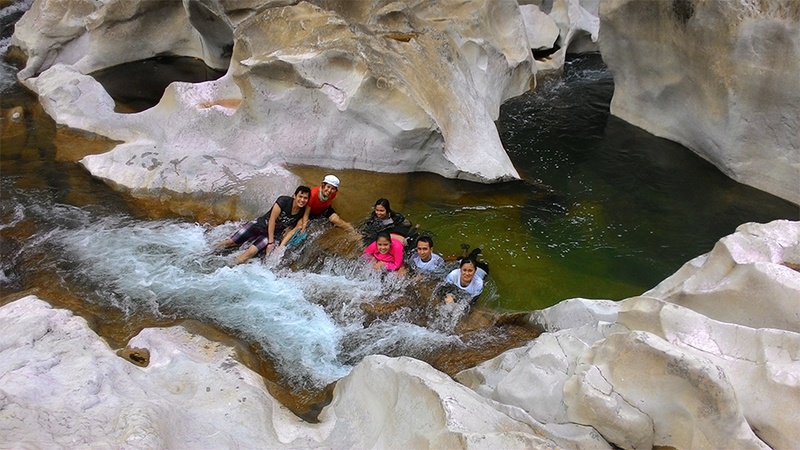 I want to go back to Tinapak River again and just have fun with the currents once more. It’s really humbling to think that all this beauty was already here before me and will be here after me. Seeing the beauty of nature is really proof that there is an intelligent creator out there. And that He has a good eye for beauty. 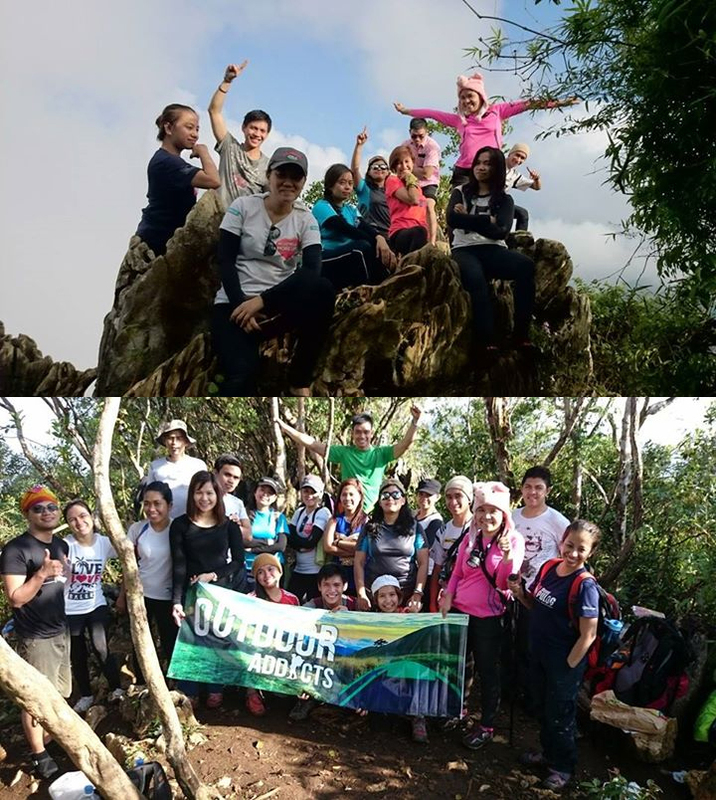 Thank you once again to the Outdoor Addicts for inviting me to this climb and for organizing everything! I was able to do a lot in a span of a day and I enjoyed pretty much all of it! Until the next hike! The traveling pink polo reaches Mt. Daraitan! Next postGala: I’m in Cagbalete, beach!